Becoming a millionaire is attainable, but only if you follow smart money habits. Here are the easy, practical tips for increasing your bank account. Wouldn't it be nice to have $1 million sitting in your bank account? The luxury to being able to do what you and your family want—when you want—is something few would refuse. Vacations on sandy golden beaches? Check. The best schools for your kids? A+. Flying business or first class without a second thought about cost? Ding, ding, ding! Many of us think that becoming a millionaire is unrealistic. Or that it's only possible for the already rich or super lucky. But guess what? Millionaires aren't as rare as you think. There are 10 million millionaires in the United States alone, according to the research consulting firm, Spectrem Group. More importantly, the money habits of millionaires have been researched so extensively that there are several lessons you can borrow to boost your bank account to that glorious seven-digit number. 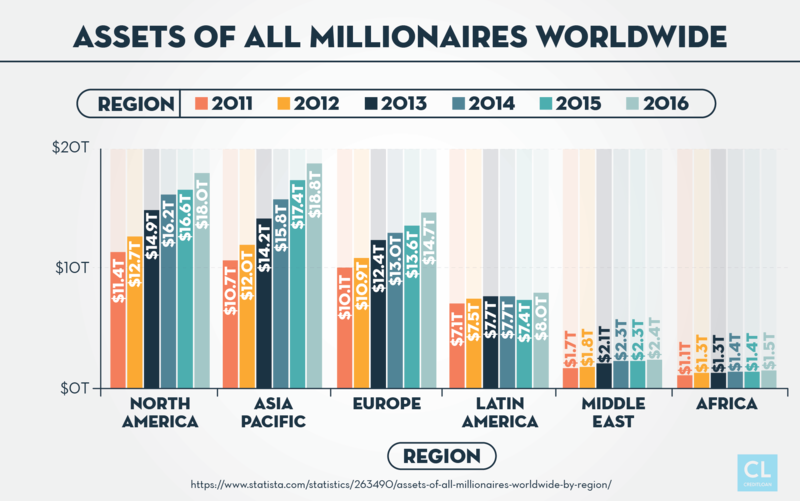 Are you one of the many millionaires in waiting out there? Seventy-five percent of American millionaires living today are self-made, according to the financial firm, Fidelity Investments. They earned their wealth themselves, without the help of an inheritance. What do you think is the most popular car for millionaires? Bentley? Mercedes? Wrong. And Wrong. 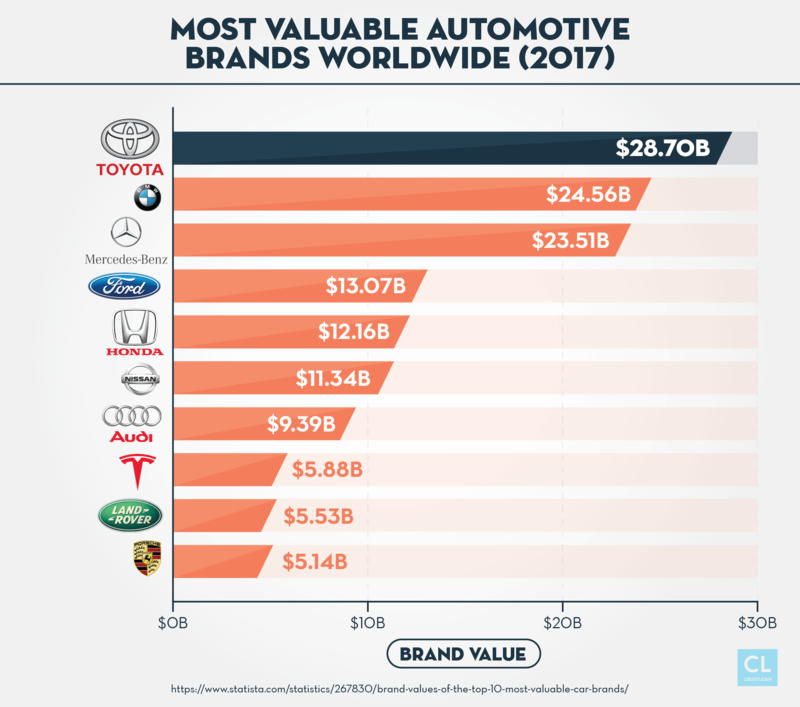 Wealthy Americans are more likely than you think to drive cars like Fords, Toyotas, and Hondas. Along with purchasing reliable, easy-to-maintain cars, millionaires are not likely to lease a vehicle according to the findings of “The Millionaire Next Door," a study on the habits of the rich by Thomas J. Stanley and William D. Danko. And they rarely flaunt their wealth the way we see in movies or on "reality" TV. The reality is that once affluent, most folks tend to stay that way, tracking expenses carefully so they are aware of how they are spending their money. In fact, the millionaires whom Stanley and Danko interviewed became wealthy in part by sticking to a budget. Budgeting allows millionaires to invest more money—whether into their own companies, real estate, or the stock market. Don't believe me? The average millionaire invests 20 percent of their household income according to Stanley and Danko's book. That's 20% of income. Not $10,000 or $100,000 or any other specific number – which is a crucial point to remember. Not everyone can invest such gaudy numbers, but 20% is attainable. Discipline literally pays off—enabling their (and your) hard-earned wealth to grow. Invest 15 to 20 percent of your income. Cut back on other discretionary expenses to help you achieve this goal. Make budgeting a game, suggests Jaime Tardy, a business coach who has interviewed more than 150 millionaires on how they accumulated their wealth for his book, “The Eventual Millionaire." Give yourself a new challenge every so often, like seeing “how little you can spend on groceries, or even skip food shopping one week and invent meals using what you already have in the cupboards," she writes in LearnVest. Avoid missed payment fees by automating payments for your mortgage, car payment, insurance, and credit cards. “Late fees can add up to a fortune," says David Bach, author of “Smart Women Finish Rich." Be sure to read bills and statements you receive to check for errors. Bill Gates dropped out of Harvard to found Microsoft, but that doesn't mean he quit learning. He's been a voracious reader since childhood and now reads about 50 titles a year, blogging about his favorites. 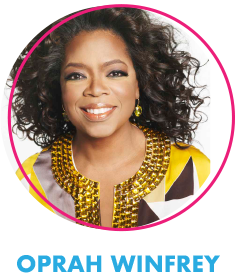 Oprah Winfrey, another dropout who is a self-professed bookworm, created one of the most influential book clubs ever. 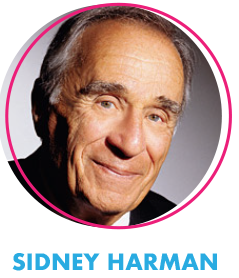 Sidney Harman, who earned millions making audio equipment, could recite Shakespeare sonnets. 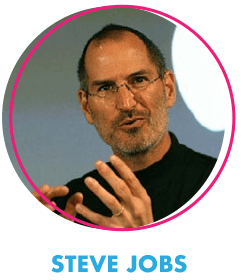 Apple visionary Steve Jobs was a fan of the poet William Blake. Reading makes you smarter and builds essential qualities for a strong business leader, like empathy and emotional intelligence. That's why 88 percent of the rich devote 30 minutes or more on a daily basis for self-improvement reading, according to Thomas Corley, author of "Rich Habits: The Daily Success Habits Of Wealthy Individuals." The “hidden benefit" of being a page-turner? It pays off to zigzag through all areas of life and constantly challenge yourself to keep learning. When millionaires aren't sure about a financial decision, they educate themselves and seek the advice of experts, writes Michelle Scroeder-Gardner on the blog, Making Sense of Cents. Adopt this millionaire habit by adding reading to your list of leisure time activities. Also, take the time to research upcoming financial decisions, such as how to find the best mortgage rate or whether to lease or buy your next car. As a boy, Warren Buffett delivered newspapers around Washington, DC. With his earnings, he purchased pinball machines and rented them out to barbershops. Today, Buffett's company, Berkshire Hathaway, has a stake in everything from airlines to groceries. Like many wealthy people, "The Sage of Omaha" recognized early on that it's important to have diversified sources of income to help weather economic downturns. 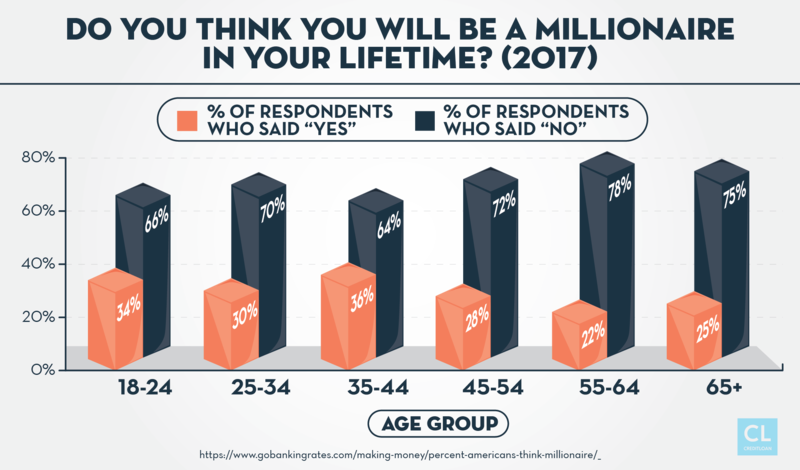 Sixty-five percent of millionaires Corley interviewed had at least three streams of income that they created prior to making their first million dollars, according to Business Insider. These include real-estate rentals, stock market investments, and part-ownership in a side business. Consider taking on a second job to help increase your earnings so that you can invest in real estate or the stock market on the side. Or use the extra income to build up a hobby into another income stream. If not you, it'll be someone else. Make your ambition account for something—cold, hard cash! Self-made millionaires are typically more generous than those with inherited wealth. Forbes magazine looked at the 400 wealthiest people in America and found that those who made their own money gave away 6 percent of their net worth, while the super wealthy donated less than 4 percent. Donating to endeavors in the education space is the most popular charitable category among self-made millionaires. “The self-made can be said to be somewhat more inclined to help others climb as they have," writes Howard Husock in Forbes. “They have not forgotten where they came from." This is nothing new. The 19th-century oil baron, John D. Rockefeller gave to charity from the moment he got his first job. After becoming the richest man in America, the Standard Oil tycoon went on to give away over $500 million during his lifetime to hospitals, schools, museums, and parks. You don't have to be a Rockefeller to give to charity, though. Adopt the millionaire mindset by giving of your time—and hopefully, your money—beginning today. As your income increases, you'll be able to give more generously—and you'll become rich in the knowledge that you're helping others, which truly counts for something special. To make a lot of money, you have to be conscientious about spending it— that way, you maximize the dollars available to save and invest. That practical sensibility doesn't disappear once you attain financial independence. Facebook CEO Mark Zuckerberg has been seen driving an Acura TSA, which costs in the $30,000 range. 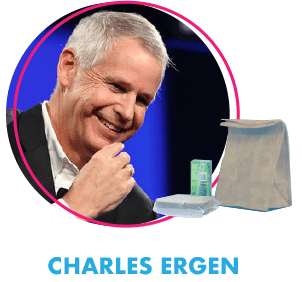 Charles Ergen, the billionaire co-founder of Dish Network, packs lunch every day. 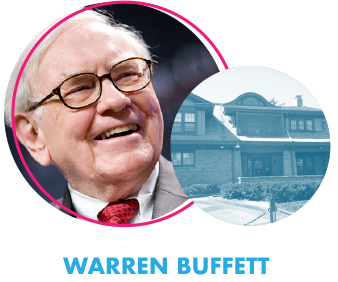 Buffett famously lives in the Omaha, Nebraska home he bought for $31,500 in 1958. People who make their own money are acutely aware of its value — and don't waste it. Want to make it to millionaire status? You'll have to be smart about your own everyday purchases and avoid lifestyle creep at all costs. “As you move up the net worth ladder, avoid the temptation to elevate your ‘status' by overspending on luxury goods," recommends the American Institute of CPAs. In 2010, Gates and Buffett started the Giving Pledge, which asks wealthy people to donate most of their money rather than leave it to their heirs. It illustrates Buffett's mantra that you should leave your children “enough money so that they would feel they could do anything, but not so much that they could do nothing."" 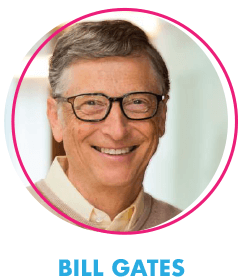 Famously, Gates sent his kids to public school and raised them so normally that his son didn't realize how wealthy they were until he was in his 20s. Self-made millionaires try to instill their children with a work ethic and teach them the value of money. 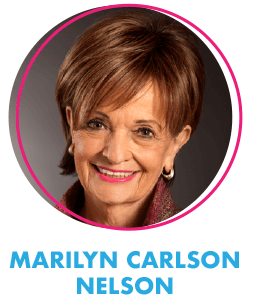 Marilyn Carlson Nelson, whose father built the Carlson Companies, has said that her dad taught her to consider the value of a vacation versus money for dessert. Wealthy parents like Sting and David Beckham have made their kids get low-paying summer jobs. Raise your children like millionaires do, and hold yourself back from giving in to their every whim. Give them a budget, and encourage them to prioritize so that they can grow up to be mini-millionaires in training. For instance, if your 6-year-old daughter wants an American Girl doll, help her research how much it will cost and then guide her on how to save toward that goal. Show her that if she buys a less expensive but similar doll from a retailer like Target, she may have money left over to purchase clothing and doll accessories. As the Atlantic's Jenn Choi discovered when she took her boys to the Lego store, children appreciate and play more with toys they purchase with their own money, when they were involved in their decision-making process. Becoming a millionaire quickly isn't easy, of course. But adopting the habits that millionaires share is something we can all start up immediately. By embracing common sense values like living within your means, not overindulging your children (or yourselves! ), and saving and investing 20 percent of your income, you'll not only set yourself and your family on the path to financial freedom, but you'll be able to call yourself a millionaire-in-the-making. Now it's your turn. Which of these 6 habits are you going to focus on implementing over the next 30 days? Let us know in the comments below. Creditloan.com offers consumers the free services, features, and tools they need to get the best and most affordable financial services they deserve.